Valentin Iliev to Steaua – The Bulgarian has played a solid first half of season in Romania, for Universitatea Craiova, and moves to Bucharest for not-such-a-free transfer, as he gets a hefty 250.000 Euros bonus on the spot, a trick to make him look like he’s not earning than the rest of the squad, with his 10.000 Euros/month deal that stretches until June 2012. In truth, Steaua’s chiefs are only fooling themselves. They’re dribbling their own decision to cut down wages, which forced good players like Kapetanos or Angelov away from the club, and preparing to replace a high earner like Geraldo with another one, of the same age, but, in my opinion, not in quite the same class. Not to mention that, at the moment, Steaua’s options for the role were probably the best in the league, with the experienced Galamaz and Geraldo plus the new sensation, Gardos. And should I say that the club’s biggest problems are at the other end, with Bilasco, Surdu, Burdujan and Dica yet to click and offer some guarantees that they’ll be able to provide the much needed goals for an improbable title challenge? Pavel Vidanov to Rapid – another Bulgarian, another solid defense, but at least this signing makes some sense! Vidanov is 22 and, as a senior international (4 caps for Bulgaria), can be considered a bargain at a price way under half of million Euros. In fact, it could turn out to be an excellent deal, although I expect him not to be rushed into the team, where he’ll find quicker some space on the right side, rather than in the centre, where Marcos Antonio and Marius Constantin have done great in the first half of season, plus worked together the entire winter break. Timisoara looks ready to part ways with Laszlo Sepsi! 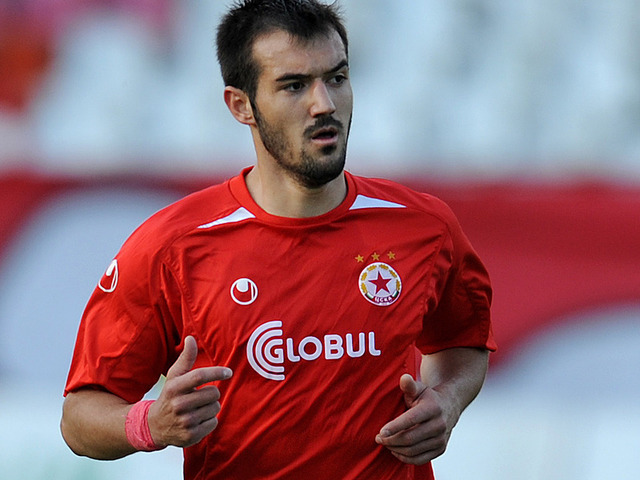 Nikola Ignjatijevic, from Red Star Belgrade, is a Poli Timisoara player and has time until June 2011 to land a better and longer deal with the Viola outfit. The 27 years old is described as a solid left back, good on the ball, who can deliver quality balls from the flank and also pose a threat with his shooting ability (thanks, Dusan! ), so, he’s definitely a good addition for Poli. Gaz Metan pushing for a place in Europe: Florin Bratu goes to Medias! Those who have read my blog know that I have the utmost respect for Gaz Metan’s manager, Cristi Pustai, who did a great job in creating this team from scratch and ensuring a constant progress, turning a second division club into a serious contender for a place in Europe, without spending a lot of money and with the calculated moves you’d expect from a Maths teacher. Today, when his club officially presented Florin Bratu, the forward released by Dinamo Bucharest and in-demand not just in Liga I, he might have done the sort of move that could help him finish his project. 31, not exactly in top shape – has tried to regain match fitness in Bulgaria, in the first half of season, after a nasty injury – Bratu boasts enough quality to solve the team’s biggest problem. Without a natural goalscorer since Bud’s transfer to CFR Cluj, Pustai had to rely on Eric de Oliveira, the Brazilian playmaker, who is spending his last season in Medias. Bratu’s arrival, who should fit perfectly into Gaz Metan’s counter-attacking style, should add the much needed extra-dimension and it would be great if the club will have the chance to keep Eric until the end of his loan from Metropolitano, as this team could do a lot more damage in the second half of season. 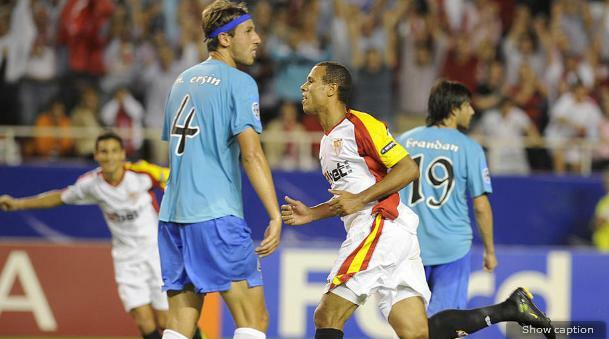 Although some say he’s past it, Bratu, who scored 43 goals in 115 Liga I matches, collected 13 caps with the national team and played abroad for Galatasaray, Nantes, Valenciennes and Litex Lovech, could finish his career in style here. Famous for the excellent pace and ability to find the net with placed shots, he should benefit from the excellent work ethic within Gaz Metan’s squad and deliver in the delicate moments, having the experience and the composure to play under pressure. And, hopefully, help this small, but well organized club get a taste of European football next season.